The Profectional Company invites only the most distinguished presenters to speak in our CPD courses, they are renowned and experienced in their respective field. 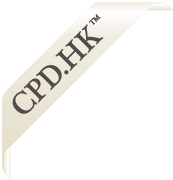 Click on the links below for their brief biography and the relevant CPD courses that they are delivering. If you are an expert in your profession, why not share your valuable experiences by presenting a CPD course for us? We provide a great platform for you to meet and influence important people in the industry, check out some of our past attendees here. An honourarium may be provided as a courtesy of your valuable support. To find out more details on speaking opportunities and how to participate in our CPD courses, please write to us via the form below. Associate, Angela Wang & Co.
Mr. Clive Grossman, Q.C., S.C.
Mr. Robert S.K. Lee, S.C.
Mr. Amirali B. Nasir, M.H., J.P.
Mr. Neville Sarony, Q.C., S.C.